What’s Happening? What’s Going on? What’s new? 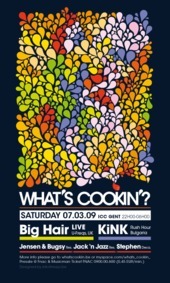 What’s Cookin’? A new edition, a new location, and a brand new soundsystem is our answer to this crisis. We’ve invited new talent and old friends, east and west united and ready to rumble! Thanks to our friends at soundsystem.be you are the first ever to experience a FUNKTION ONE soundsystem. Come over and really feel the music! Live visuals provided by JokJok. WIN WIN WIN WIN WIN WIN WIN WIN WIN !! 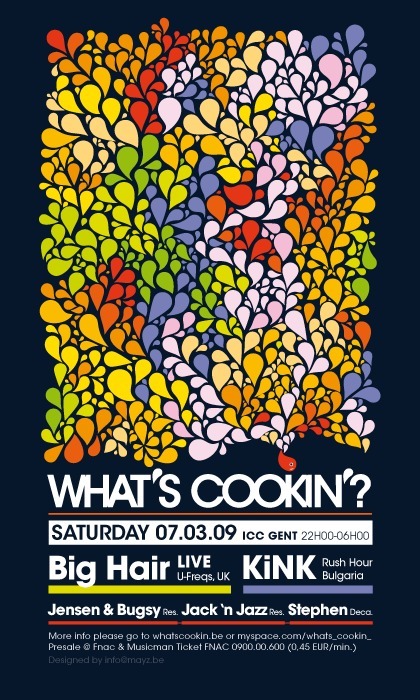 Check the number on your flyer at our website www.whatscookin.be/prize and win a vip arrangement at our party, all you can eat at ‘Frietlounge’ (Flanders Best Frites), sandwich dinner for two at ‘Le Pain Total’, Vinyl Records, Mix CD’s, T-Shirts, Free Tickets, Drinks, and many more! Come early pay less party hard!